Entry doors must be tough enough to withstand wind, rain, Snow, scorching sun, and would-be intruders, yet handsome enough to make a good first impression. Unfortunately, meeting those needs is a tall order for many front doors. Most older ones are made of wood or wood veneer, both of which warp, crack, and delaminate after years of exposure to the elements. Metal doors don’t last forever, either — the surface on some older steel doors can peel. Whether that describes your front door or you just want to trade a solid door for one with glass panels that offer more light, you’ll find plenty of options available. 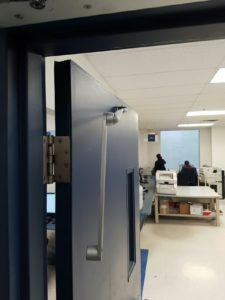 There are new wood doors that resist the elements better than earlier versions, as well as metal and fiberglass ones that look like wood but provide greater security and often cost less. 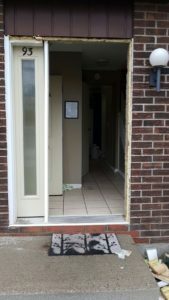 Sometimes replacing a door means simply exchanging one door, called a slab or blank, for another. But in some cases you’ll have to rip out and replace the old door framing, which includes the door jambs and threshold — especially if these wood members have begun to rot. Even if the old door frame is fine, the wall studs it’s nailed to can bow and settle out of square. This makes it difficult to open and close the door. To make a new wood door fit an out-of-kilter frame, you’ll need to plane the top and bottom or even trim one of these edges so the door hangs correctly. This is only an option with a wood door; metal and fiberglass doors can’t be planed or cut. Most new doors are prehung, which means the door hangs on hinges within a new frame (these systems also include some form of weatherstripping). Prehung doors are an ideal choice if the old frame is bad or if you’re removing the frame because you want to enlarge the opening. If you’re replacing your old door with a prehung unit, first determine if you need a left- or right-hand door. Stand in the doorway and face outside. If the lockset is on your right, you have a right-hand door. To choose the proper jamb size, measure the height and width of the existing door jamb between the inside edges of the casing. Add 1/2 inch to the frame height and 1/2 inch to 3/4 inch to the width . 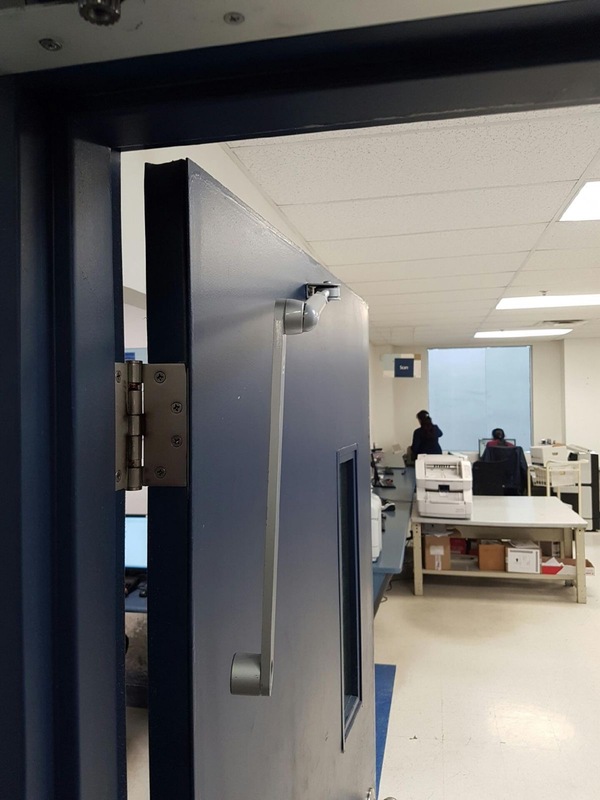 The width of the door is measured across its face. Most doors are sold as 3-0 (36 inches) or wider. 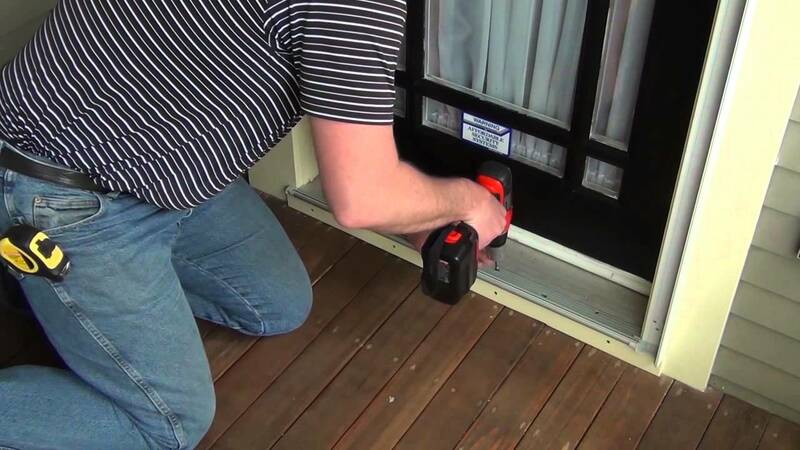 An alternative to replacing the entire frame is to use door-replacement kits, such as Replace Door Systems from Pease Industries. Here, the door is prehung in a small steel frame that attaches to the old one. Benefits include easy installation and the added security of the steel frame. However, these kits slightly reduce the original opening, they’re available in only a few sizes, and they can’t be installed over rotted jambs.